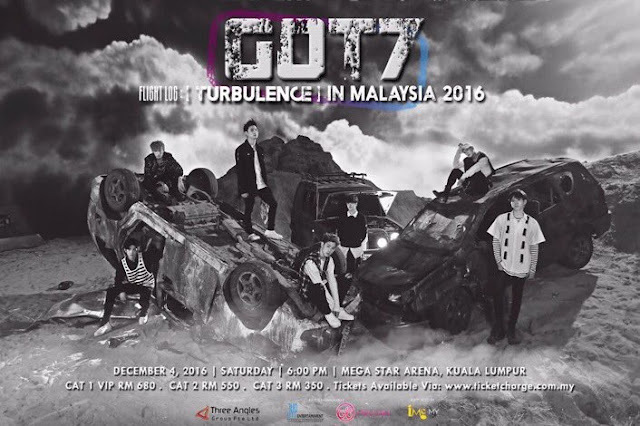 Malaysia iGOT7 definitely received the great news that GOT7 will be coming to Malaysia for GOT7 “FLIGHT LOG: TURBULENCE” IN MALAYSIA 2016. Remember to check the privileges that you'll receive upon ticket purchase. * All unsold tickets from all categories will be available online from 3pm onwards. 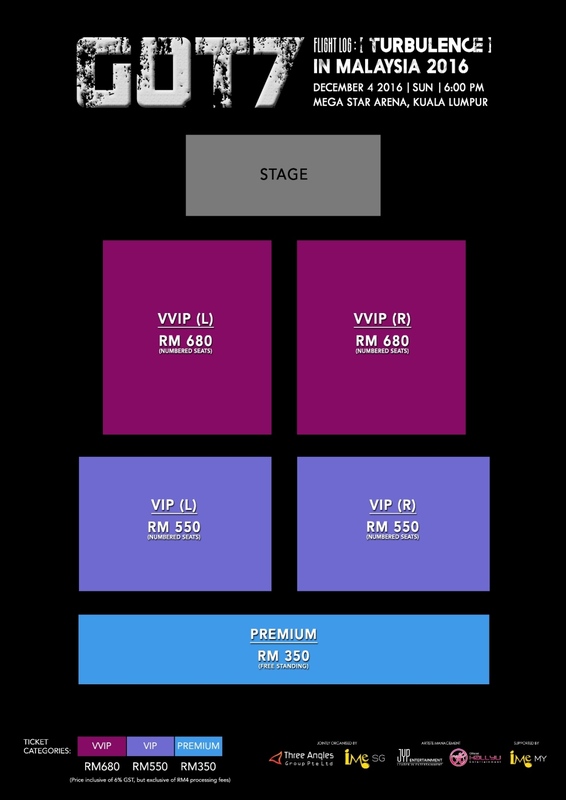 All VVIP Ticket holders will be entitled to EITHER a Photo Op Pass (15 Pax Per Photo) or a Hello Pass (To receive an autographed poster from a member of GOT7) after the show. All Ticket Holders will be eligible to a lucky draw for an opportunity to win an autographed poster by GOT7. All Ticket Holders will receive a GOT7 “Flight Log: Turbulence” Album.